My third book is now for sale. 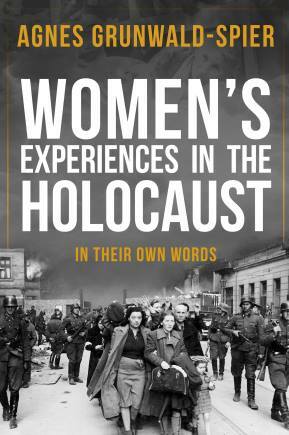 It is called ‘Women’s Experiences in the Holocaust: In their own words’ because it is based on the women’s diaries, letters, books, memoirs and my interviews. I have found some amazing women who were incredibly courageous. They range from parachutists, partisans, medical people and underground couriers. I was influenced by my mother’s own experience of having me in Budapest in1944 and enabling me to survive the Budapest Ghetto. I was only six months old when we were liberated by the Russians in January 1945. Our story is the final one in the book.